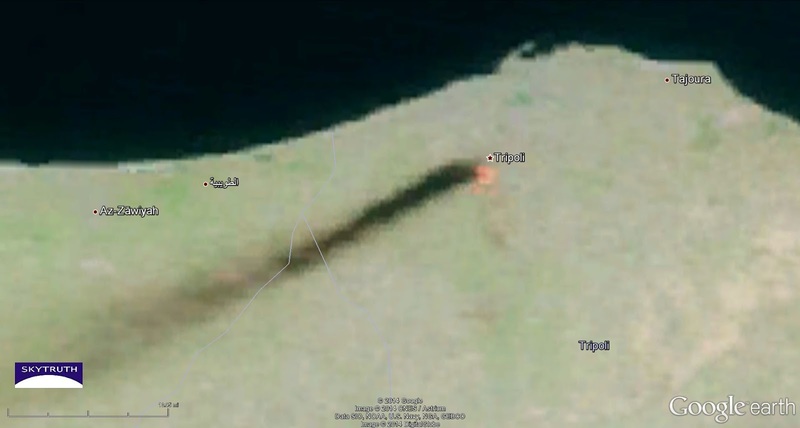 A fuel storage site in Tripoli was apparently hit by rocket fire this morning and set ablaze. Satellite imagery taken today from NASA’s Terra satellite shows a long, black smoke plume originating at Libya’s capital and extending many miles to the west-southwest. 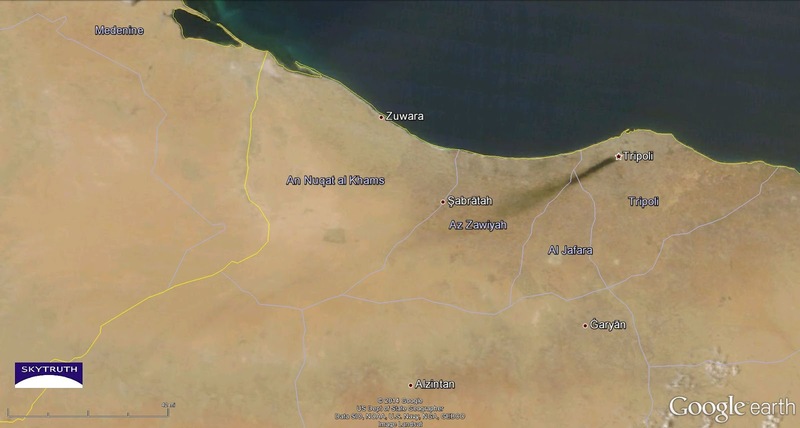 The Libyan government is asking for international assistance to extinguish the massive blaze. MODIS/Terra image, July 28, 2014. Infrared composite (Bands 7.2.1). Detail from 7-2-1 infrared composite above. Large orange patches indicate source of exceptionally hot fire. SkyTruth Uses Satellites to Track – a Bicycle?! Shepherdstown, WV – On Friday, July 25th, SkyTruth will turn our attention from aimless oil tankers and drilling sites in America’s Heartland to an unlikely suspect – a bicycle. Technically we’re more interested in the man riding the bicycle – Tony Long, Director of the Ending Illegal Fishing campaign at the Pew Charitable Trusts. 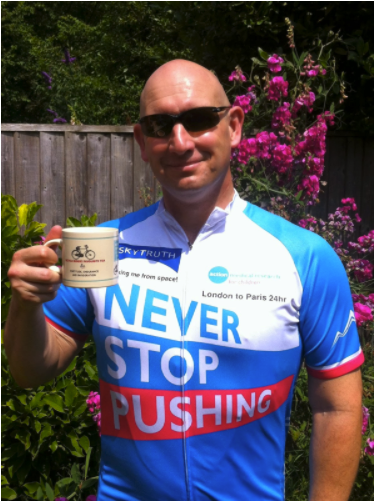 Long, a former commander in Her Majesty’s Royal Navy (UK), is taking part in the Action London-to-Paris ride, a 24 hour, ~240 mile challenge to raise money for children’s medical research. Along the way Tony will be carrying a SPOT personal tracker provided by SkyTruth in order to demonstrate how remarkably simple and inexpensive it is to deploy a satellite monitoring system, whether it’s for a bicycle winding through the hills of Northern France or a 608-ton fishing vessel plying the waters of the South Pacific for tuna. Some fishing vessels already employ AIS transmitters as a way of broadcasting their location to avoid deadly collisions at sea, but the use of AIS is not mandatory everywhere. “Imagine if every commercial fishing vessel were as trackable as Tony’s bicycle. Overnight we could make it infinitely harder to hide illegal fishing,” Woods said. You can see Tony’s track on the map below. And you can sponsor Tony’s cause by clicking here. /wp-content/uploads/2016/08/test_logo.png 0 0 David Manthos /wp-content/uploads/2016/08/test_logo.png David Manthos2014-07-24 20:52:002019-02-14 10:18:23SkyTruth Uses Satellites to Track – a Bicycle?! Calling All FrackFinders — Help Us Map Fracking in Ohio! You did it! 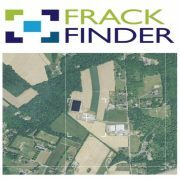 Your collaborative image analysis effort with FrackFinder PA helped us build a map showing all of the active Marcellus Shale gas-drilling sites across the entire state of Pennsylvania in 2005, 2008, 2010 and 2013. More important, you identified all of the open-air fluid impoundments related to those drilling sites and the process of hydraulic fracturing (fracking). We’re about to deliver that dataset to researchers at the Bloomberg School of Public Health (part of John Hopkins University) so they can investigate the respiratory and neonatal health implications of living near modern drilling sites. Soon, we will post that dataset online so anyone can download it for their own analysis or research. But we can’t stop there. Drilling is booming across the US, thanks to the combination of horizontal drilling and fracking targeting what were formerly un-tappable reserves of oil and gas. In neighboring Ohio, drilling mostly targets the Utica Shale, but there are some Marcellus Shale wells too. 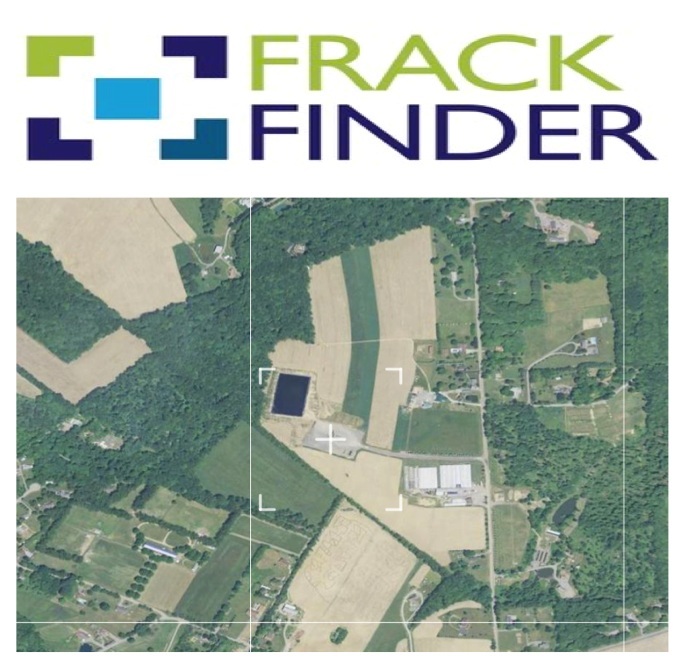 We need your help with FrackFinder Ohio to identify active well pads on high-resolution aerial imagery from 2010, 2011 and 2013. And we are working on figuring out how to incorporate some smokin’ hot, super hi-res imagery shot by our friends at LightHawk in June. (That’s right, this June.) Students from Walsh University will help us ground-truth some of the drilling sites you identify. And, as always, the data will be made available to anyone who has a legitimate research, education, or public outreach need. So help us build the gas-drilling map of Ohio. It’s easy; it’s fun to look at imagery; and you’ll be contributing to a unique dataset that can help scientists answer fundamental questions about the impacts of modern oil and gas drilling. https://skytruth.org/wp-content/uploads/2014/07/FrackFinder.jpg 672 686 John Amos /wp-content/uploads/2016/08/test_logo.png John Amos2014-07-23 21:12:002019-02-14 10:19:05Calling All FrackFinders -- Help Us Map Fracking in Ohio! 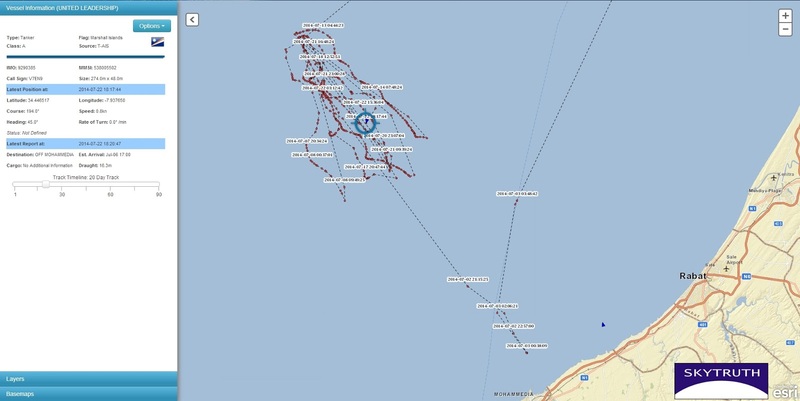 Yesterday an article in the Wall Street Journal caught my eye, about an oil tanker full of crude from Kurdistan that has been wandering around in the Mediterranean Sea and eastern Atlantic Ocean in search of a buyer. Back in June they almost had a deal, but it fell through. I thought you’d like to see what the tracking data look like for this vessel’s peregrinations. 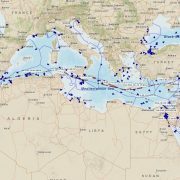 Bjorn, our vessel-tracking expert, prepared these maps using satellite-collected AIS radio-frequency data that tankers are required, by international maritime law, to broadcast. I hope this tanker finds a safe port soon to offload this potentially dangerous cargo. Hi, I’m Tom Jones! I’m a Shepherd University student majoring in environmental sustainability. I’m interning at SkyTruth this summer as part of my senior capstone project. 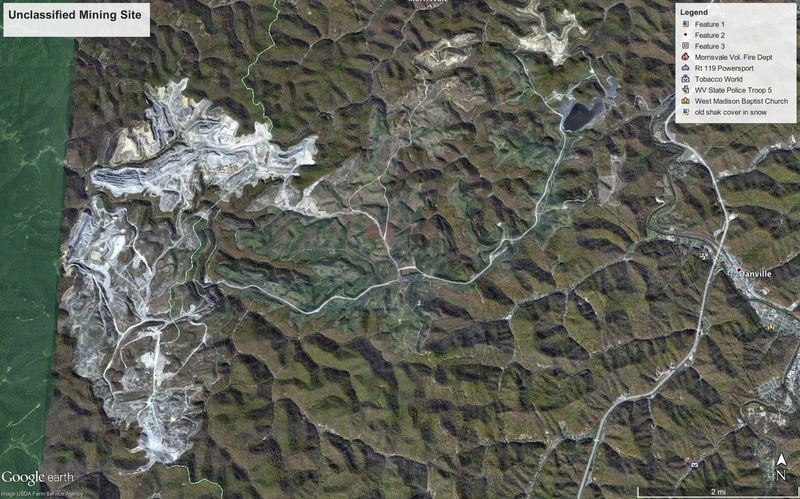 The purpose of my research project is to map mountain removal coal-mining sites in Appalachia in order to update the database previously established in 2007, where they mapped everything from 1976 to 2005. I’ll be picking up where they left off, mapping everything from 2005 to 2010. This time around I’ll be using a new program called Google Earth Engine (GEE), made available to us at no cost (thank you Google Earth Outreach!). In GEE you can train a classifier, which means I can train it to identify mountain top removal sites for me, without having to go through every potential mountaintop removal site in Appalachia myself! The first thing I did in GEE was to bring in Landsat satellite data, which is provided by GEE from a database of both inactive and active satellites. I’ll be using Landsat-5 Annual Greenest-Pixel TOA Reflectance Composite. This will allow me to view all of the images taken from that year as one image and I won’t have to worry about cloud obscurity. Next, I create the classes I want GEE to identify, which in my first run through, was Mining (RED), Vegetation (GREEN), and Urban (BLUE). Using the feature to add hand drawn points and polygons, I clicked on 12 sample locations for each class so that the classifier would know what colored pixels are associated with which class. There are 10 different options for what type of classifier to run the trainer with. After some experimenting I chose Voting SVM, which chooses the value identified by the highest number of classifiers. The last thing I did before clicking the “train classifier” button was to choose a resolution of 20 meters to increase the detail of the image. 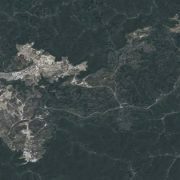 Detail from Greenest Pixel Landsat-5 composite image, 2010. Classification results for image above. 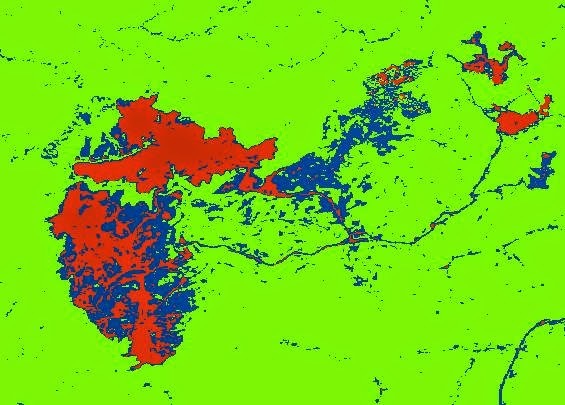 Red = mined area, blue = “urban,” green = vegetation. As you can see above, the classifier is far from perfect, correctly classifying the brighter parts of the mine — areas of recent cut-and-fill activity — as a mine, but incorrectly identifying the darker parts as an urban area, which it clearly is not. Mines and urban areas both contain impervious surfaces, and bare rock is spectrally similar to concrete and asphalt, so it is no wonder that the classifier confused the two. All said and done, the classifier was still able to correctly classify most of the mined area under the mine class I created. In order to better analyze the accuracy of the results I needed a more detailed image, so I downloaded the classified image and brought it into QGIS to convert it from a raster, an image full of pixels, to a vector file, an image full of points and lines. The vector file allowed me to select just the mine class and bring that into Google Earth as a KML file. Then I could overlay that on the much more detailed, high-resolution imagery in Google Earth to get a better view of the area that was classified. 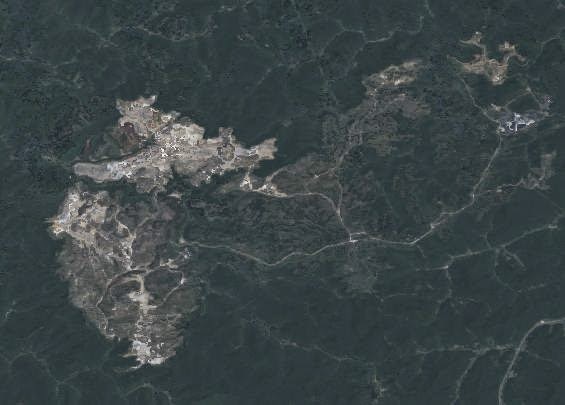 Hi-resolution imagery in Google Earth for mining area shown above. 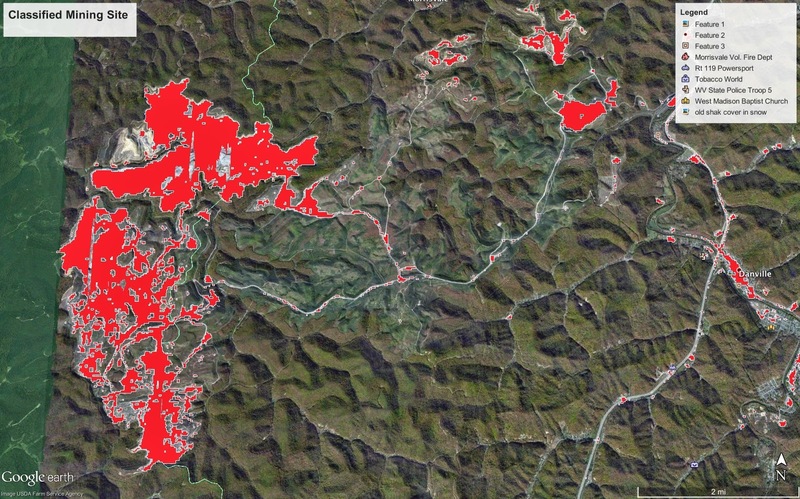 Mine classification results from 2010 Landsat composite image (red) overlain on hi-resolution imagery for direct comparison and error analysis. 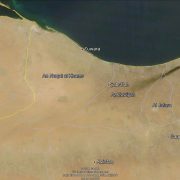 With Google Earth I can better see what the Landsat classifier missed. As you can see, the area that was classified as Urban (BLUE) in GEE, you can now tell that most of it is actually reclaimed land, which means, for now, they finished mining on that portion of the land and have attempted to restore it. Since I’d like to be able to identify both the active and reclaimed portions of the mine, on my next training of the classifier I will remove the urban class and add in the reclaimed mine class. Instead of placing my points for the new blue class on urban areas I will place them on areas at the mine that appear to be reclaimed. Through this methodology I hope to obtain more accurate results.